Photography has always been technical, but these days modern cameras are digital, and therefore rely more heavily on computers, both those built into our cameras and those on our desks. This can be overwhelming when you are getting started, but there is a way to cut through the jargon and complexity to help you get better photographs. With years of experience training people on cameras and software tools I can help you get going, whether you are beginning or more experienced. We all have gaps. I'm always working on mine! My unique training style is designed to fill those gaps, not try to cover everything. The most important goal of training is to move forward, not amass knowledge. I have twenty-five years of experience using and training people on Macs, Windows, Unix, and other Computer systems. I have used Film and Digital cameras, Olympus, Nikon, Canon, and currently Phase One, Sony, and Cambo Medium Format. I have paid teachers for many years myself as a Musician and Photographer. It's the fastest way to jump-start your success. By the way, success doesn't have to be financial. It may be just the enjoyment of taking better photographs, and having work you can hang on the wall. The Studio location is in Dallas TX where we have professional lighting gear to use for any hands-on. This is a great opportunity to save a lot of time along the learning curve of Photography in the areas listed below. 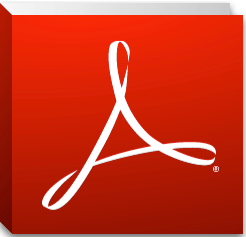 The training guides are downloadable Adobe PDF files. I'll be adding additional guides here as they are completed. Get better photos with your Digital Camera by learning about Shutter, Aperture, ISO and Flash. These are explained with easy to understand language and examples. Camera basics and your key camera settings. Includes a printed booklet with details on things like Shutter, Aperture, ISO, Digital Sensor, Lighting and Flash. For those that don't need the full Photoshop, I'll take you through the process of adjusting your photos in Photoshop Elements. Lightroom workflow - customizing the tool to work for you. Managing the catalog, Rating Images and using Adjustments. Building Master files in Photoshop, and working with Layers and Adjustments. Creating a Photography workflow. This is geared towards Image Adjustments and Color Correction, so we'll use only a subset of Photoshop features. The goal is to learn how to build a master file with layers for easy future editing. Capture One workflow - customizing the tool to work for you. Working with Catalogs and Sessions, Rating Images and using Adjustments. Spot Color Correction and integration with Photoshop. How to migrate from 35mm to Medium Format. Demonstrations with the Phase One System and Digital Back, plus Cambo Technical Camera utilizing the same Dig. Back. Discussions relative to workflow, tools, and expectations. Understanding Printer technology, and how to successfully do your own printing. Profiling your monitor and printer. Learn how to Mat and Frame your own work. Discussions on print sizes, equipment, and archival materials. How to build a great Mac workstation that has the power to handle gigabyte images, and protect your work from data-loss. We will discuss Processors, RAM, SSD Drives, Interfaces, and Backup. The hourly rate is $100 if the session goes over. Email or Call to setup your training schedule. I would describe the training style as friendly and informal. We can go at whatever speed you need. Training can be done at my home Gallery in the North Dallas TX area, at a local studio, or online using WebEx screen sharing. For some subjects in-person is best as it allows me to show you firsthand a professional workflow and setup.